In William Still’s book The Underground Railroad, the author expands on the story of Peter Still, a former slave, and Seth Concklin, a White abolitionist. They were strangers to each other and of different races, yet one laid down his life to help the other and his family. In the story of my ancestors, John and Jane Walls, told in the documented novel The Road That Led to Somewhere, I expand on the story and relationship between Daniel Walls and John Freeman Walls. The boys were born in North Carolina on the same day in 1813. Daniel was the White son of the slave master, and John was born a Black slave; however, they were committed to each other. They grew up as true friends and expressed a brotherly love toward each other into their adult years. 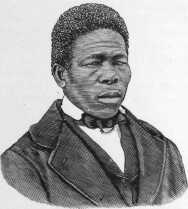 Daniel Walls was a prodigy as was Seth Concklin; they both resisted the popular belief held by slave owners that Blacks were inferior and should remain enslaved. Thomas Jefferson explained in the late 1700s how important it was to have a “prodigy” mentality and firmly fight for slavery to be abolished. Jefferson felt that slavery did more than take away liberty from the slave; it also had negative effects on the slave master and his children from one generation to the next. The whole commerce between master and slave is a perpetual exercise of the most boisterous passions, the most unremitting despotism on the one part and degrading submissions on the other. Our children see this and learn to imitate it; for man is an imitative animal. This quality is the germ of all education in him. From his cradle to the grave he is learning to do what he sees others do. If a parent could find no motive either in his philanthropy or his self love, for restraining his intemperance of passion towards his slave, it should always be the sufficient one that his child is present. But generally it is not sufficient. The parent storms, the child looks on, catches the lineaments of wrath, puts on the same airs in the circle of little slaves, gives loose to his worse passions , and thus nursed educated, and daily exercised in tyranny cannot be stamped out. The man must be a prodigy who can retain his manners and morals undepraved by such circumstances. Jefferson’s words echoed what abolitionists and sympathizers of the Underground Railroad Freedom Movement felt in the 1800s. 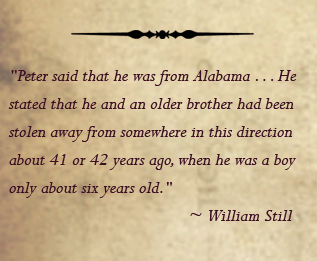 The Peter Still story emphasizes an important message of the Underground Railroad. Through compassion and mutual respect for one another, racial harmony can come to fruition and lead to reconciliation and love among races and faiths. In the annals of Underground Railroad history, the Peter Still and Seth Concklin story inspired other great abolitionists of the period (like Harriet Tubman, who knew William Still) to exercise even more caution and determination. Seth Concklin read the “Pennsylvania Freeman” and the story of Peter Still, “The Kidnapped and the Ransomed,” and he was moved to action. Peter had been a slave for 40 years and was able to save $500 to purchase his freedom. Assisted by a trusted Jewish sympathizer named Joseph Friedman, Peter made his way to Philadelphia where he received permission from colored churches to post notices that he was searching for his mother, whom he had not seen since he was 6 years old. 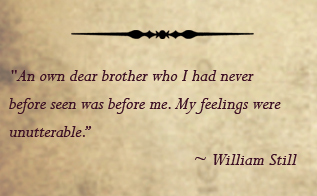 Miraculously, he was interviewed by his own brother, William Still, whom he had never known. He told William that he was looking for their parents, Levin and Sidney. After Peter experienced the joy of reuniting with his biological brother, he turned his focus to attempting to raise $5,000 to free his wife and three children in Alabama. However, as in many southern states, the laws of Alabama utterly denied the right of a slave to buy himself. The right of slave masters to free their slaves, either by sale or emancipation, was also expressly prohibited by Alabama law. Therefore, buying the freedom of his wife and children— even for $5,000—was not an option. 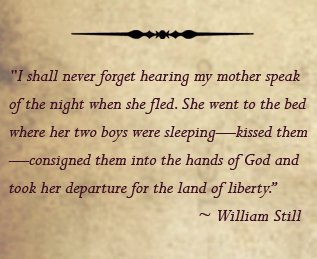 Seth Concklin, despite warnings of the extreme danger from more seasoned abolitionists, was so moved by Peter Still’s story that he was determined to try to retrieve his wife and children. Peter Still gave Seth Concklin his wife Vina’s cape and other trinkets as a sign that he had approved Seth as an agent. Seth traveled to Alabama and shared his plan with Vina and her children. They were to take a steamboat to Cincinnati and from there quickly make their way to Canada. Concklin was to play the part of the slave holder and pretend that he was traveling with his slaves. Unfortunately, the steamboat was days late, which was not uncommon, and Seth and his passengers were forced to leave by ordinary skiff. Hungry and tired, they rowed for seven days and seven nights and, despite much hardship, eventually arrived in Indiana. At one point in their escape, the desperate group traveled in daylight, and they were spotted. A newspaper article reported: “At Vincennes, Indiana on Saturday last a white man and four Negroes were arrested.” Concklin was not with the four passengers when they were first arrested and put in jail. However, with great courage and compassion, he did not abandon them; instead, Seth went to the jail to try to save them, but he was seized himself. Peter learned later that his family had been returned to the slave owner in Alabama and papers reported that Concklin was drowned—hands and feet in chains, skull fractured, and body washed up on the river bank. He had given his life in his attempt to save the lives of others. Peter Still and Seth Concklin, as well as Harriet Tubman and William Still himself, underscore the deeper significance of the Underground Railroad freedom movement. It was about radical justice and equality for all. Blacks are equal to Whites, women are equal to men, and all races and faiths deserve freedom and mutual respect. Instead of asking, “If I help the enslaved and oppressed what will happen to me?” Good Samaritans of that historical period turned the question around and asked, “If I do not help the enslaved and oppressed what will happen to them?” They have sent a message to us today about the importance of compassion, mutual respect, and reconciliation.